For over the past decade, there has been an increasing number of children being diagnosed with having attention issues such as Attention Deficit Hyperactivity Disorder (ADHD) or Attention Deficit Disorder (ADD). More parents are reporting problems with their children fidgeting and having issues sitting for extended periods of time, specifically in school. 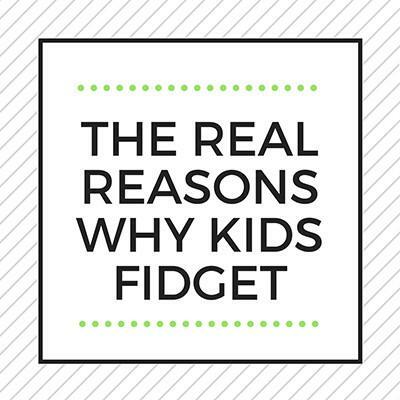 So what is causing children to have so many problems with fidgeting and restlessness? Has this always been an issue…or is this a more recent occurrence? According to recent coverage by The Huffington Post, parents should consider the fact that children these days spend a majority of their lives sitting. And chances are, they have a mobile device of some sort accompanying them. It’s a rarity nowadays to find kids running around outside, playing a pickup game of baseball, playing at the park, or even climbing trees. Some schools have even reduced recess time to make time for other educational demands. Younger generations are coming up in a world where inactivity is allowed and even promoted in many cases–it’s a problem of an epidemic scale. Studies have been done recently to test the core body strength of elementary level children. The results were disturbing. The results showed that most of the children tested had staggeringly low core strength and balance, when compared to a similar population of children in the 1980s. The results show that 1 in 12 children had normal core strength and balance. Due to the lack of movement, many of these same children are suffering from underdeveloped vestibular (balance) systems. To fix this, children need to be moving their bodies every-which-way…and frequently. Weekly soccer or football practice just won’t cut it. This lack of movement and weakened body strength in children brings them into school far less prepared to learn than ever before. So you take a child, who has a sensory system that’s a bit out of whack, and ask them to sit still for hours on end listening to the teacher. Their bodies are already so deprived of movement. In order to feed their bodies the movement stimulation they need, they fidget. They tap their feet, click their pens, rock back and forth in their chairs, doodle, spin their pencils, and chew on their erasers. The best way to address this real and growing problem is to get children more active again. Get children outside, playing and running, and being active on a regular basis.